Rebecca Davis tells the story of SA's very own chess champ. Ranjeni Munusamy looks at the politics within Cosatu as it holds its Congress. EWN Sports Editor Wesley Petersen looks at what's dominating sports headlines. Qaanitah Hunter bemoans the state of the SABC. Gushwell Brooks says Malema wouldn't be powerful if SA’s leaders were doing their jobs. Ranjeni Munusamy says South Africa needs a president now who can show real leadership. Future or no future? The choice is ours. Honest citizens need to stand up now and disassociate themselves from the rot. Tessa van Staden writes about her time as a journalism student, in New York, just after 9/11. Lelo Mzaca says its too early to celebrate Gordon Igesund's first win for Bafana Bafana. Lynne O'Connor talks about the principal at the centre of the school admissions row. Sheldon Morais compares the country's violent crime to someone suffering from chronic stress. Jacques Rousseau argues Affirmative Action can't be effective after one generation only. Will Twitter's uncanny luck ever run out? Sarah Lacy looks at whether Twitter can become a public company. Sipho Hlongwane compares Zuma & Obama's election campaigns. Pierre de Vos says if only white South Africans had been outraged at Apartheid practices. Ranjeni Munusamy says Cosatu is clearly taking a tough-love stance toward its alliance partner. Mandy Rossouw describes the vast difference between Angola's haves & have-nots. 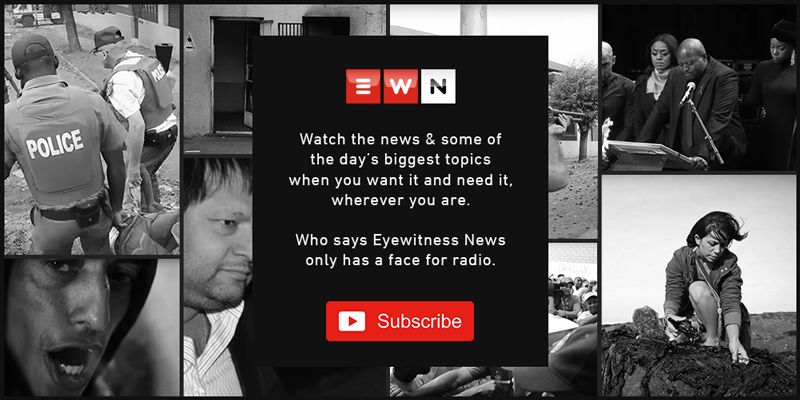 It’s all in a day’s work for EWN’s Parliamentary Reporter Catherine Rice. The Campaign tackles issues regarding controversial Information legislation. Pierre de Vos questions the NPA's handling of the Marikana matter. Ogilvy’s Dustin Chick says in crisis communications terms, Marikana is out of control.